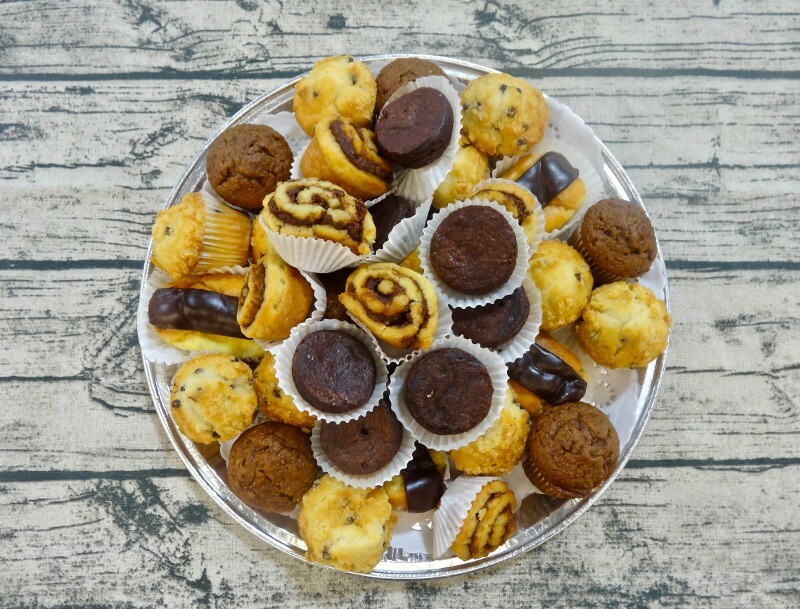 5-Dozen Assorted Mini Pastries, 6-Crème Puffs, 6- Eclairs, 12-Mini Cannoli’s, 12-Brownie bits, 24- Mini Tarts. 5-Dozen Assorted Mini Pastries, 6-Crème Puffs, 6- Eclairs, 12-Mini Cannoli’s, 12-Brownie bits, 24- Mini Tarts. Serves 15-20.